Eastern & Oriental Express Holiday Destinations in South East Asia. The luxurious Eastern & Oriental Express offers captivating journeys between Bangkok and Singapore passing through Kuala Lumpur, Butterworth, Kuala Kangsar and on to Lampang and Chaiang Mai, also with a stop at the River Kwai near Kanchanaburi. What better way to visit some of Southeast Asia's most exiting towns, cities, regions and islands. To make the most of your time in Southeast Asia, why not add one of our extensions to the start or end of your journey. Bangkok is an absolute treasure trove. Its gilded temples sparkling in the morning sunlight, and the ordinary scenes of daily life amidst the markets and rustic houses along the waterways, offer a sense of peace and tranquility that transcends the chaos. Chiang Mai is Thailand's second largest city and is endowed with an abundant cultural heritage. Offering plenty of shopping, entertainment and sightseeing opportunities, this is an exciting city to visit to get the authentic feel of Thailand. This magical Indonesian Island evokes thoughts of paradise and is renowned for its breathtaking sandy beaches and crystal clear waterstogether with a rich and diverse culture. Koh Samui remains an unspoiled tropical island paradise in the Gulf of Siam. A hilly, jungle interior of spectacular views and waterfalls sweeps down to perfect white sand beaches and azure blue water. Cambodia offers an intoxicating mix of magnificent architecture and unspoilt jungles and mountains. Take the time to give Cambodia the attention it deserves - Angkor Wat fascinates with its sheer grandeur and alone justifies a visit. Largely untouched by tourism, Laos boasts stunning landscapes and a rich cultural heritage. The UNESCO World Heritage town of Luang Prabang blends decorative buildings with lush mountain scenery and fragrant gardens. Vietnam is blessed with stunning mountain backdrops, a sublime coastline and unforgettable cuisine. The pace of life in the countryside has hardly changed in centuries, with much of the population still living off the land. 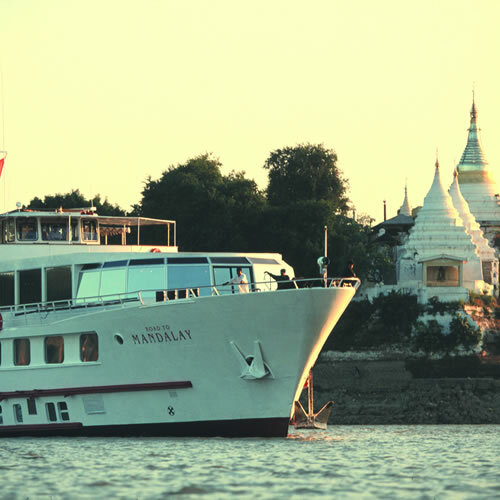 Combine your journey on the Eastern & Oriental Express with a Burma river cruise on either the Belmond Road to Mandalay or her sister ship Belmond Orcaella.